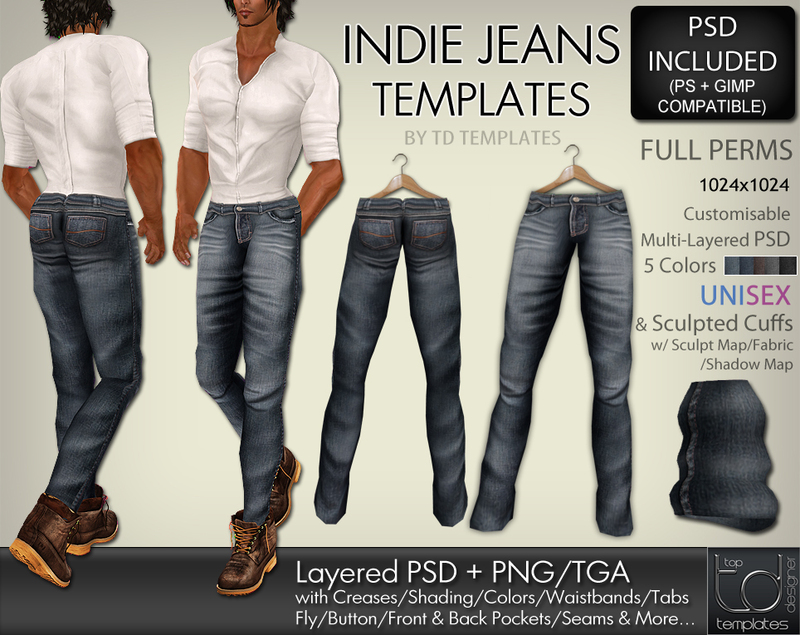 Create your own casual denim jeans to add to your clothing line with these high quality full perm templates. New design Sculpted Cuffs with textures and maps. 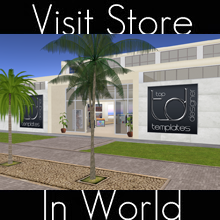 Layered PSD & TGA/PNG Format, 1024×1024 Resolution. Build your Resource kit Up and Add Kit 2 !!! 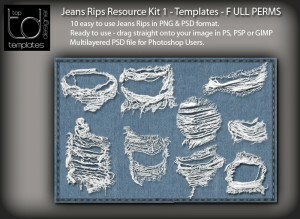 Package includes 12 jeans rips templates in PNG format. Easy to use, drag straight onto your image in PS, PSP or GIMP. 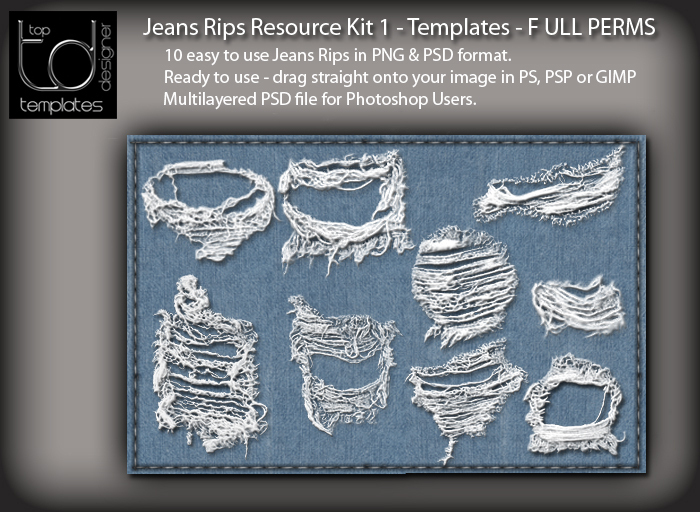 Download includes PSD files for photoshop users – PNG files for PSP and Gimp Users. Package includes 10 jeans rips templates in PNG format. Easy to use, drag straight onto your image in PS, PSP or GIMP. 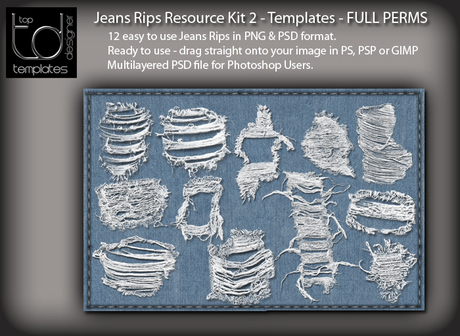 Download includes PSD files for photoshop users – PNG files for PSP and Gimp Users.